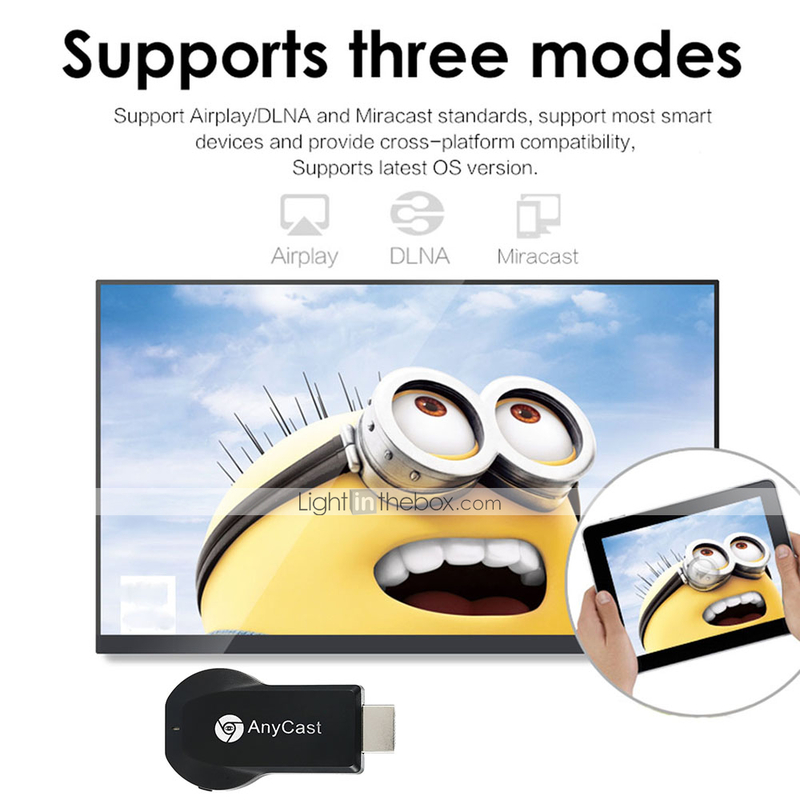 AnyCast M2 Plus WiFi Display Receiver is a Special Devices to project your Smart Phones / Tablet PC to another big screen devices with interface (such as, HDTV, Monitor & Projector, etc) through WiFi connection. 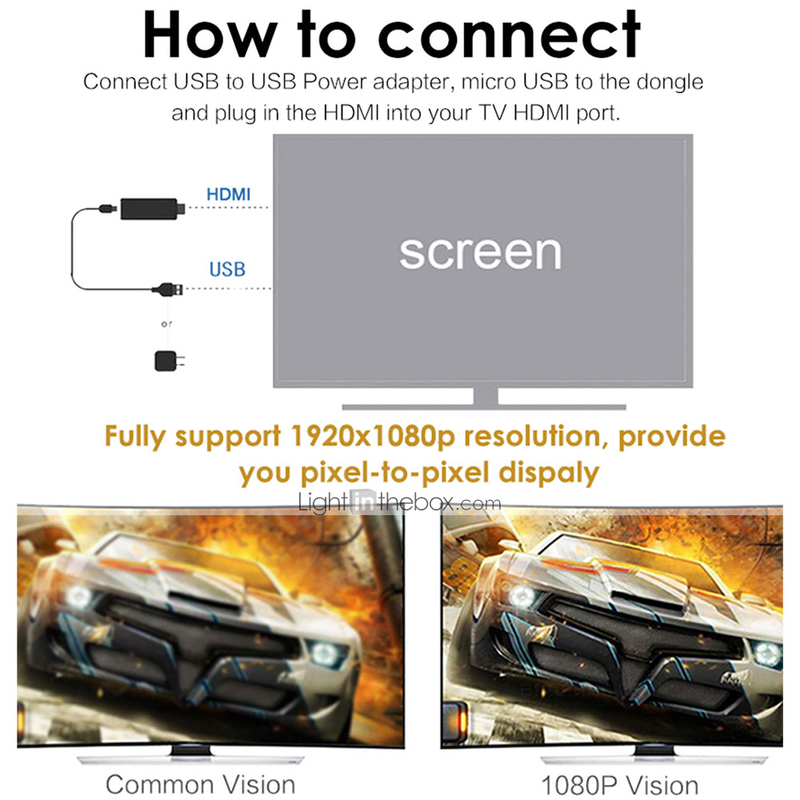 And, it supports popular ScreenShare standards, such as, Miracast, DLNA and Airplay, can enhance your HDTV / Projector / Monitor with input socket. Moreover, The WiFi Display Receiver has more features such as, streaming video, web surfing, photo viewer, Internet video and more, just to enjoy excellent multi-display sharing. 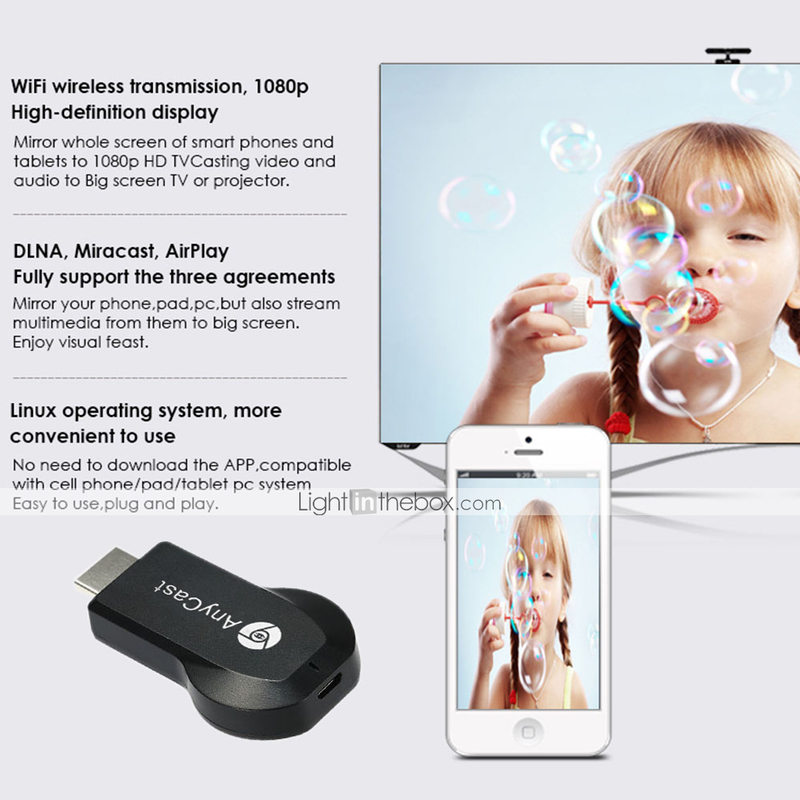 Features: [Wireless Display] Cast your contents (Video, Game, Audio, Picture, App and File) in your Smart Phones / Tablet PC to another big screen devices with HDM interface (such as, HDTV, Monitor & Projector, etc) by using Miracast, DLNA and AirPlay through WiFi connection. Perfectly to enjoy the ultimate big screen: Watch movies, play games, create your own exclusive cinema. 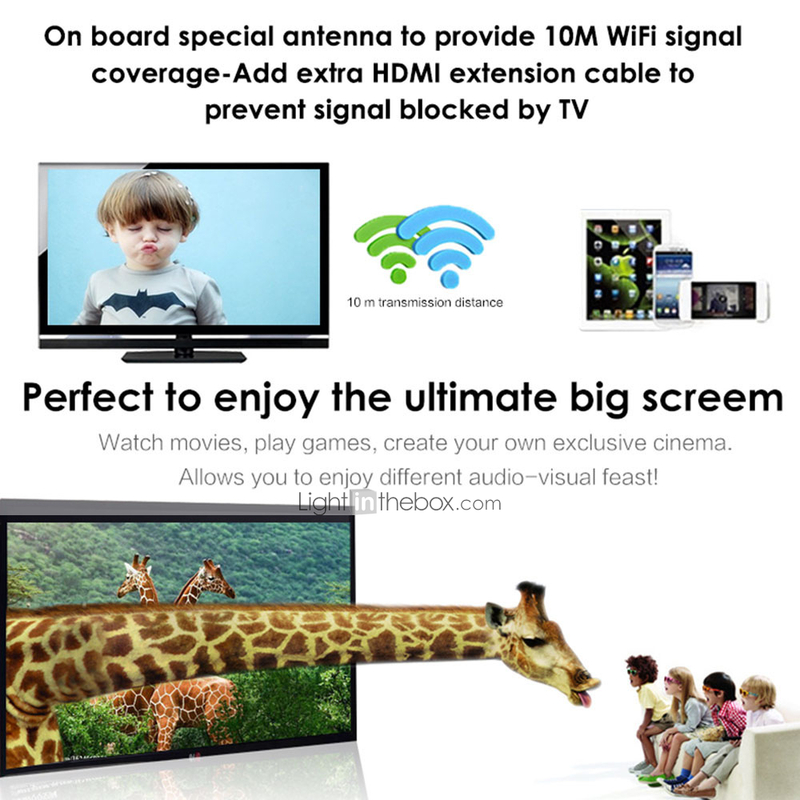 Allows you to enjoy different audio-visual feast! [No APP and No Driver Required] NO APP NO DRIVER REQUIRED-Only 3 steps to enjoy the media on large screen: Plug->Connect->Mirroring. [High-performance Wireless Transmission] Built-in Wi-Fi module supports 2.4GHz WiFi, supporting Online & Local content wireless display: Video / Audio / Photo / Office file / Website. 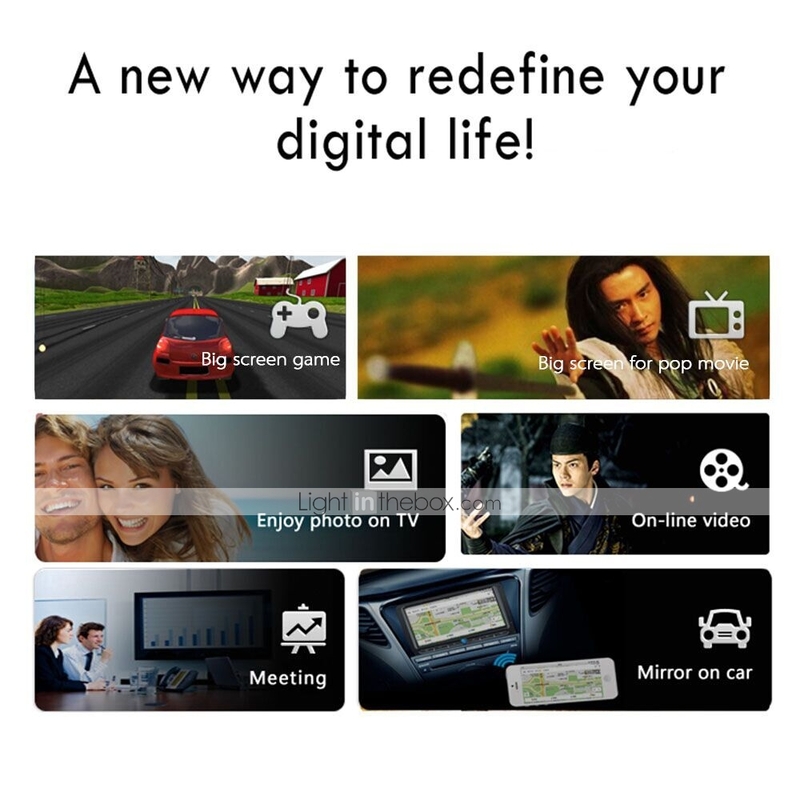 Also can be used a Car WiFi Display and a great Travel Partner, just connect M2 Plus (powered by 5V/1A) to Car port, transmitting multimedia contents of Smart Phones to the car monitor. Traffic jam time is no longer boring. [High Definition Output] HDM port (HDM1.2) support 1080P video output and High-quality Sound Effect output. [Widely Use & Compact Portable Design] Supports E-learning, business meeting: Wireless Display, from out of the shackles of cable, the meeting has become intelligent and efficient. Perfect for Business and Education presentation (PowerPoint, Excel, Word, PDF and Pictures from your Smartphone, Tablet PC to HDTV, Monitor and Projector with HDM input port). 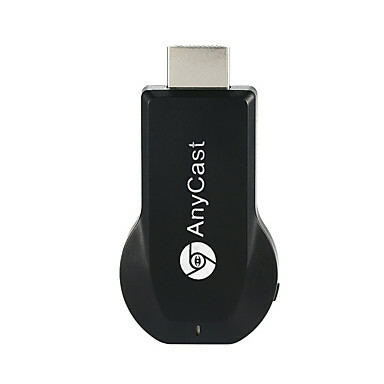 With compact portable deign for easy carrying.AnyCast M2 Plus uses compact portable deign for easy carrying.